David Bowie was 69. He was the legendary musician who excelled at glam rock, art rock, soul, hard rock, dance pop, punk and electronica during his eclectic 40-plus-year career. He had a string of hits, from "Space Oddity" and "Rebel Rebel" to "Young Americans" and "Fame". Then, there's his beloved collaborations, "Under Pressure" with Queen and "Peace on Earth/Little Drummer Boy" with Bing Crosby. In a bizarre coincidence, Emm Gryner visited on Saturday and we spoke at length about her singing and playing keyboards in David Bowie's band. She also worked with Chris Hadfield on his cover of "Space Oddity". Hear that episode here. A music ICON & genius who shaped music overall in his own unique way. Here's Nirvana's Unplugged cover of David Bowie's The Man Who Sold the World. I just love how he went out, orchestrating his final days as the brilliant poet he was. He's fortunate to have had that opportunity - so few of us do, I watched the Lazarus video for the first time just a couple of days ago, and of course, the opening lyric is so fitting now..
"Look up here I'm in heaven. I've got scars that can't be seen." Wasn't a big fan but true legendary icon. Here's his final video, Lazarus. I loved Labyrinth. Here's Bowie's great magic dance from that film. 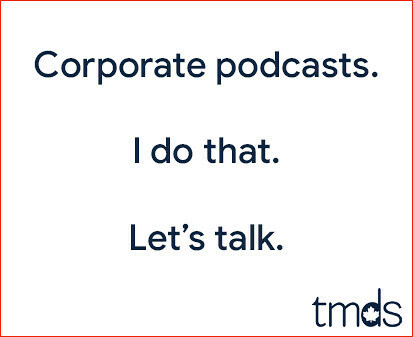 I got in the car this morning to continue listening to the Toronto Mike'd episode with Emm – exactly where you started talking about her being a backup singer in his band. Pretty freaky. I've recorded 154 episodes but only one in which we really talk about David Bowie other than in passing. On Saturday, when Emm and I are talking about her relationship with Bowie, we had no idea he was sick. Two days later, I awake to this terrible news. As I said, the timing is bizarre. I remember, must have been mid 80s seeing Bowie at the CNE with my two good friends at the time. It was such an awesome show, particularly when he started up 'let's dance' the crowd went wild. We were in those bench type seats and everyone was standing on the benches dancing. RIP, David, and "may God's love be with you..."
I'm no music historian but Bowie's rap in Young Americans (mid 1970s) has to be one of the first times we had ever heard anyone "rap" in a popular song. If not the first, definitely the first white dude to do it. Not to take anything away from Bowie. What a voice. Style. Genius. Thanks for linking to the just released Lazarus video Mike. When I heard the news at 4:00 a.m., I decided to listen to Bowie's The Next Day CD. 10_songs in, it was all great current music. @GUNTer - I was at that CNE show too! Summer (August?) 1983, great show. Bowie recorded so many great great songs, it is hard to pick a favourite. Heroes, TVC15, Life on Mars, Wild is the Wind, Cat People. The man with the voice, I love doing the car-karaoke thing to his tunes. I know none of us live forever. And these big stars are not part of my life like my family is, but they are the soundtrack to our lives in many ways. That concert? Future hubby was a few rows ahead of my friends and I. Driving home from work I was flipping thru the stations and I heard Bowie on Indie, Boom, CBC Radio 1 and then on a station at 105.9 they were interviewing Mike Williams ex Much Music VJ about Bowie and Mike's first experience and exposure to Bowie via Cleveland FM station WMMS FM was much like mine, listening on CHUM FM and other area stations. David first came to prominence in North America with the Hunky Dory album and the single Changes. Stations also started to play the previous album The Man Who Sold the World and then came Ziggy but around the same time they re-released his 1969 single Space Oddity ( 1972) and that became his first big hit in America. His early 70's success also led to record companies to exploit his very early recordings as David Jones ( these recordings were somewhat in the mersey beat vein). He changed his last name from Jones to Bowie to avoid confusion with Monkee Davy Jones. Anyway a point Mike Williams made is that Bowie initially broke in North America coming from three different directions at the same time. Very fitting for an artist that was a chameleon all of his career. The track Starman from Ziggy Stardust is my personal favorite by him with the Man Who Sold the World a close second. The latter has not dated at all and sounded way ahead of it's time when it was release and the original is the best version. 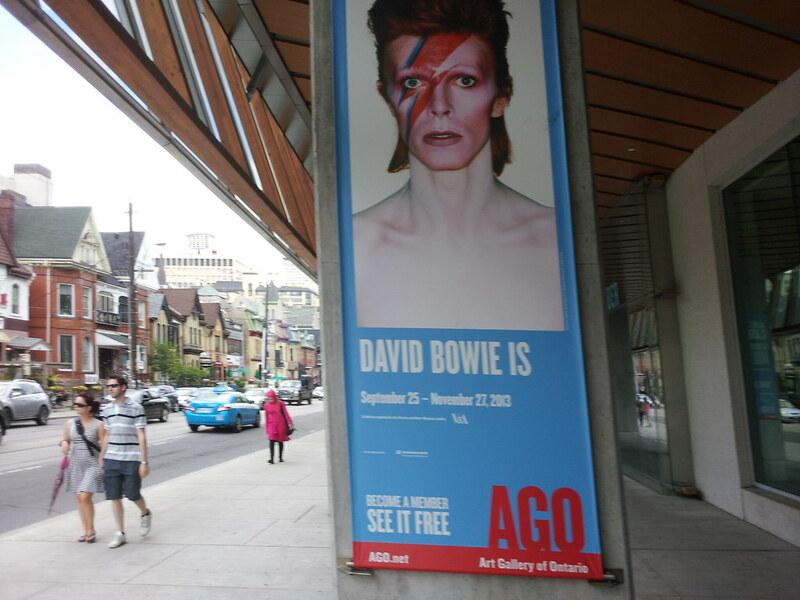 Never got to see him live, but I'm glad I saw the Bowie exhibit when it was at the AGO. Was really great and did a lot to make me appreciate him even more. Also as a bonus, I ran into Chris Hadfield there.